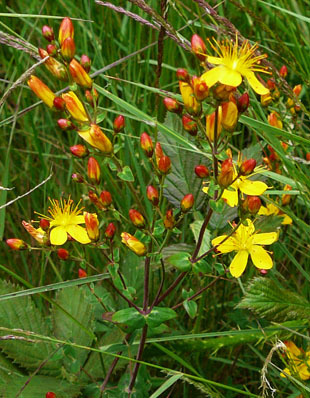 It grows in heaths, scrub and open woods. 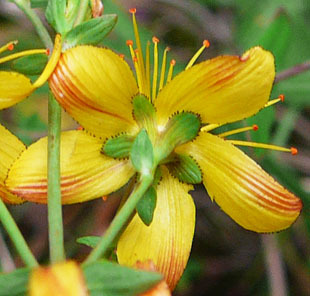 Flowers are up to 18mm, with 5 bright yellow petals. red buds), and edged with black dots (glands). There are 3 to 5 styles. 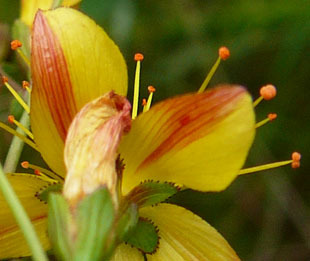 The 5 sepals are also edged with black spots. 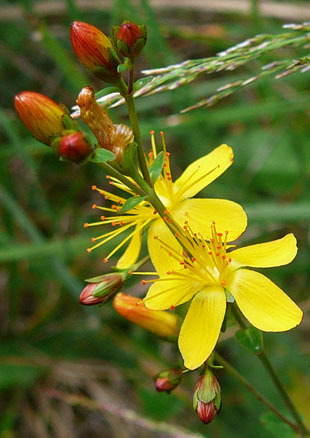 Leaves are heart-shaped; half clasping the stems and up to 1cm. 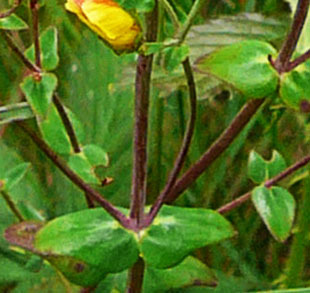 Stems are round, un-ridged and often reddish.